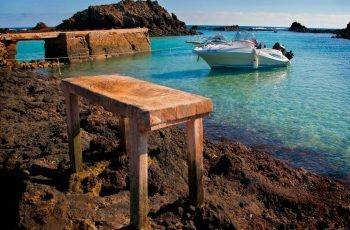 Lobos is a little island in the northeast of Fuerteventura (Canary Islands, Spain), by boat only 15-20 minutes away from Corralejo. 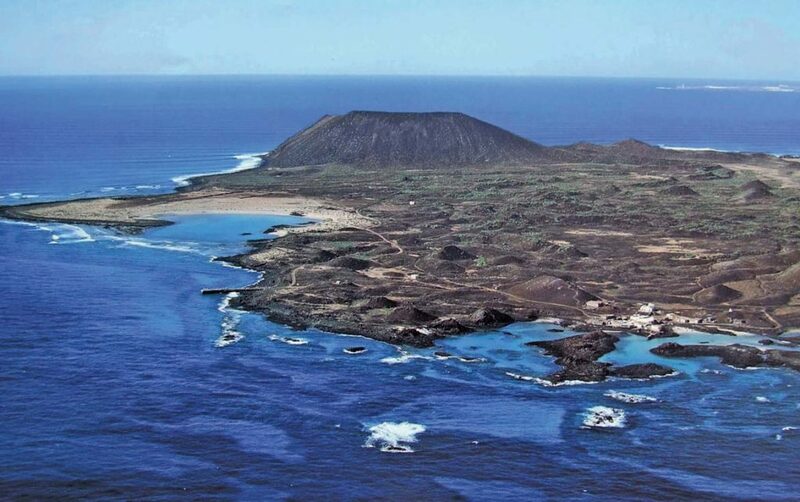 The name “Lobos” goes back to the time when monk seals, also known as “lobos marinos”, came to live on the island. 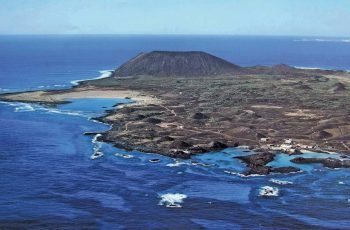 Lobos Island has been one of the first protected natural reserves of the Canary Islands, going back to the declaration of the Natural Park “Dunas de Corralejo e Islote de Lobos” in 1982. 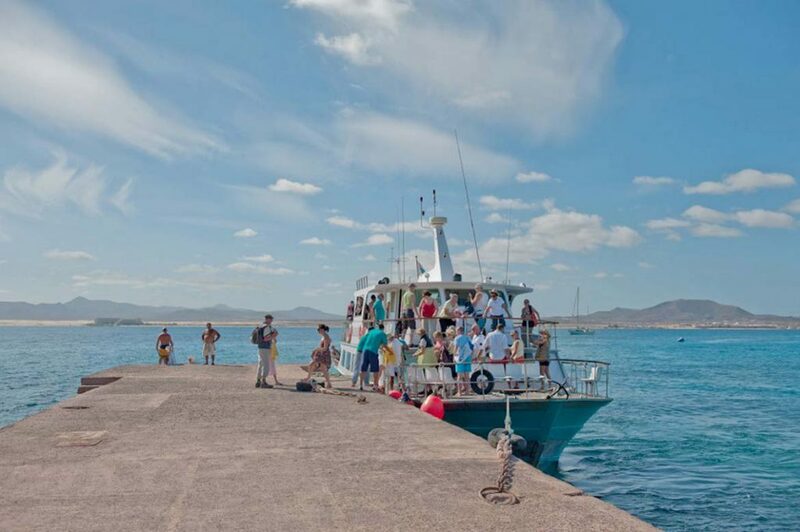 The decree 12/1994 from the 19th December of the Natural Reserves of Canary Islands, has reclassified Lobos and the dunes of Corralejo into two different natural parks: Natural Park “Dunas de Corralejo” and Natural Park “Islote de Lobos”. 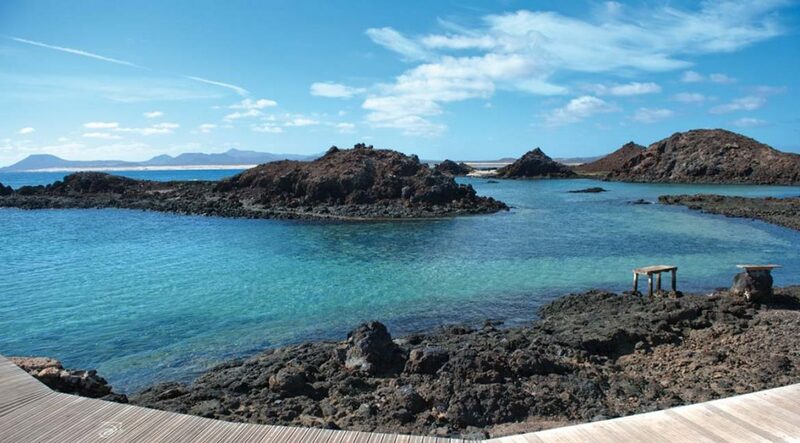 Currently, the organization of the Natural Park “Islote de Lobos” corresponds to the guiding plan of application and managment, approved by the legislative decree 1/2000 of the 5th July. 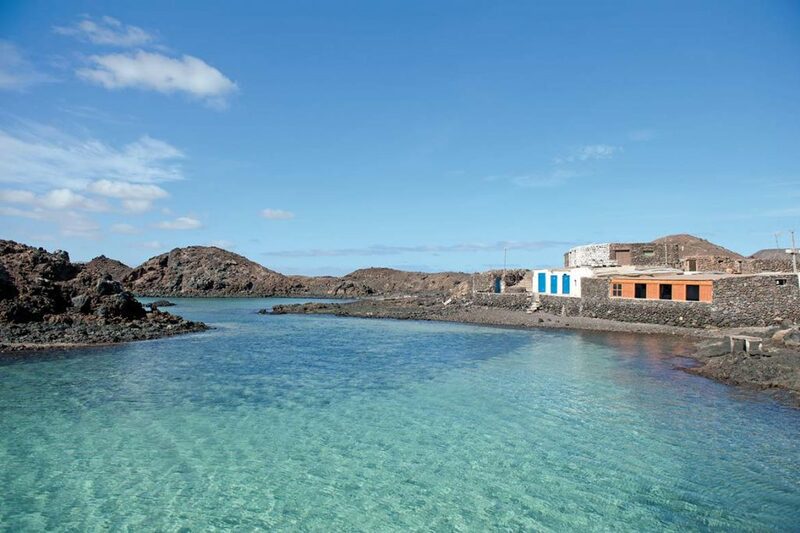 Lobos Island has been included into the Spanish Network of Special Protection Area for Birds (SPAs) by the Commission of the European Union in EC-Directive 79/409/EEC. The natural park covers the island’s whole surface of 467.9 km² and the perimeter of 13.7 km. 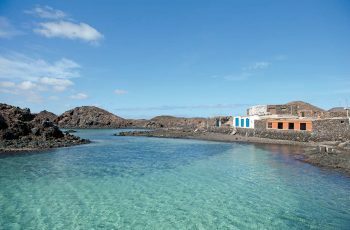 Situated in the northeast of Corralejo (District of “La Oliva”) in the “La Bocaina” channel, the island is 2 km from Fuerteventura and 8 km from Lanzarote away. 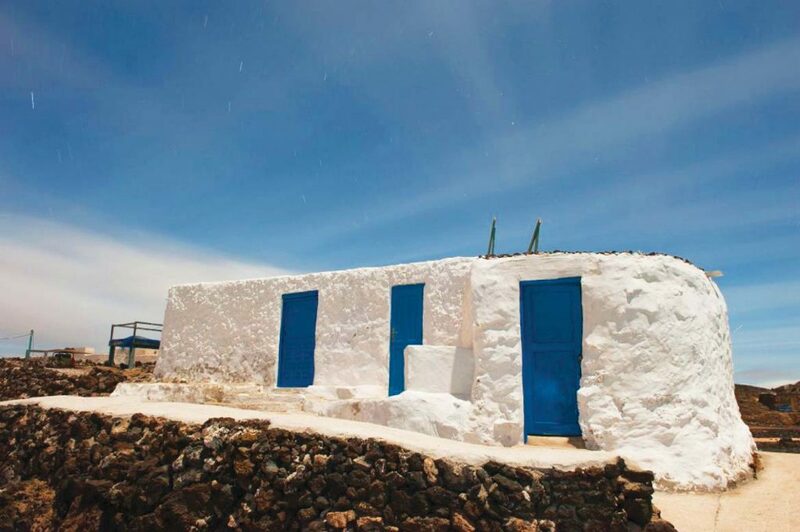 Lobos has a semi-arid climate with moderate temperaturas and an average annual temperature of 18ºC. The constant presence of trade winds increases desiccation accenting the aridity of the landscape. Most precipitations occur between the months of November and January. 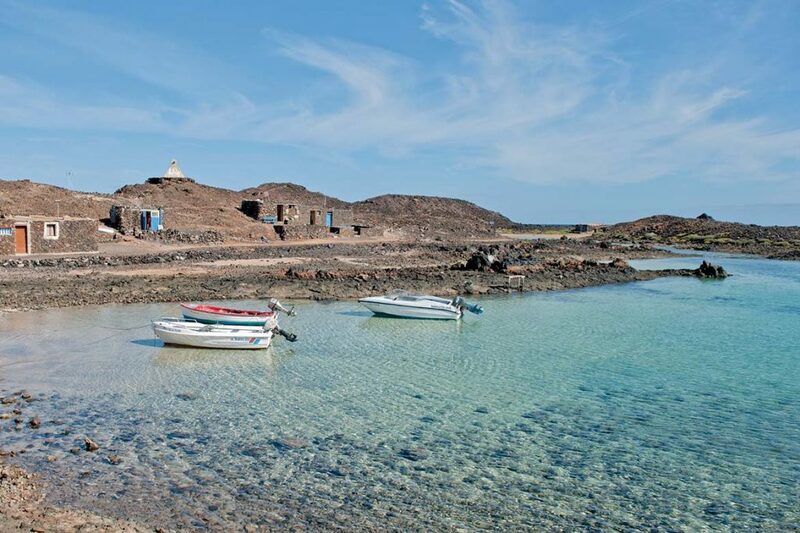 The representative character of the natural system and the minor subsystems (salt marshes, “jable de los hornitos”, the euphorbia plants of the island’s interior, the diverse halophilic vegetation of the coast and the nitrous holes). Elevated biodiversity with unique endemism of the island such as the “Siempreviva de Lobos” (limonium bollei). 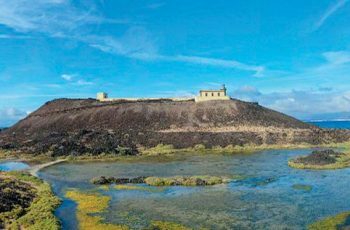 Etnographic elements: salines, lime kilns and the lighthouse “Faro Martiño”. Paleocene places of discovery from the Jandian and Erbanian period. 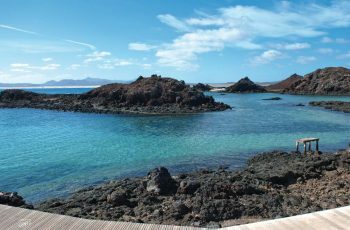 The island rose out of the sea during the pleistocenean age due to a basaltine crack north of Fuertevenutura (Volcano of “Bayuyo”), which extended to the northeast. The highest peak is the volcanic cone of “La Caldera” (127 m). In the south east the island is a basaltic platform consisting of pebble stones, depressed areas and bolders. The highlight of the northern part are the beaches that were building up with Jandian sea deposits. 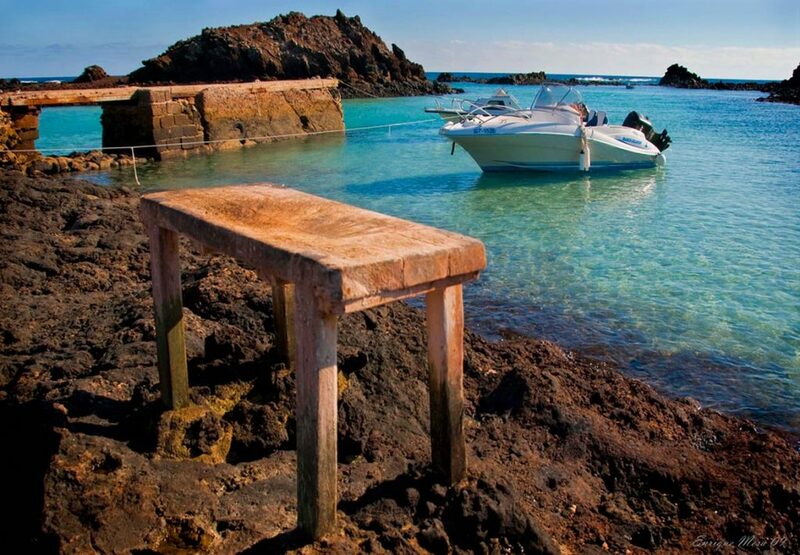 Between the Lobos Island and Fuerteventura the sea bed is covered with sand streches (length of between 5-15 metres). Other landscape elements to mention are the dismantled volcanic buildings of the norhern coast, “Los Hornitos”, the salt marsh of “El Faro”, “El Jable de la Cocina”, the volcanic landscape of the interior and the “Hoya de las Lagunitas”. Going by bike on designated paths. Walking only on hiking tracks. Fishing with a fishing rod and catching crabs along the coast between “Punta El Marrajo” and “Los Roques del Puertito”. Collect geological or biological material for educational, investigative or buisness reasons. Recreational fishing and sea food catching in the area of “La Caldera”, “Las Lagunitas” and all swimming areas. Embarking anywhere on the coast, except on the harbour. Bring domestic animals to the island like dogs or cats. Leaving the designated hiking tracks. Accumulate inflamable material and make outdoor fires. Making noise that disturbes the region’s tranquility. Climb the “La Caldera” mountain during the breeding season. Dump or bury any kind of rubbish. Change, destroy or remove materials that are of patrimonial, geological or biological nature. In general, any activity that harms nature or the landscape of the park. Any disregard of the rules will be fined. Wear appropriate and comfortable shoes (sports shoes). Use sun protection (sun cream, hats, umbrellas…).